Washington Valley Cellars is a full-service design and build company, providing expert advice on design styles, materials and options for home wine cellars. From proper framing, insulation and vapor barriers, lighting and temperature control, to distinctive design elements like statement-making cellar doors, brick columns and decorative walls of stone, Washington Valley Cellars delivers everything necessary to protect and showcase your fine wine collection. Inventory management is the key to getting full enjoyment of your wine collection. Our software system helps you organize, catalog, label and chart the maturity of your vintages. Ask us about our e-sommelier software and training. Led by Director of Installations, Corey Dyer, our team of professionally trained and licensed installers ensure that your wine cellar is a masterpiece of design and functionality. 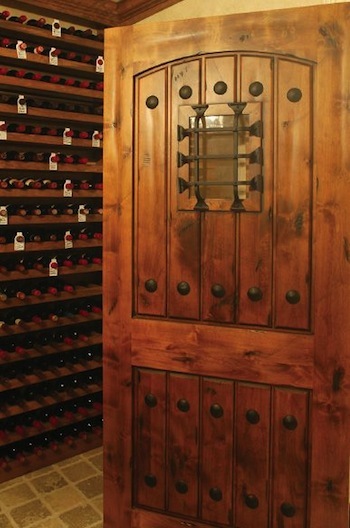 With decades of combined experience, Washington Valley Cellars’ artisan woodworkers and stonework masons have worked alongside experienced electricians, lighting, tile and refrigeration specialists to install hundreds of custom wine cellars.